I got this recipe from a friend at a recipe exchange. It is so easy and really healthy! It's full of veggies, whole grains, and lean protein. Yum! In a slow-cooker, combine zucchini, peppers, onions, and celery. Top with chicken strips. In a small bowl, combine taco sauce, bouillon and cumin. 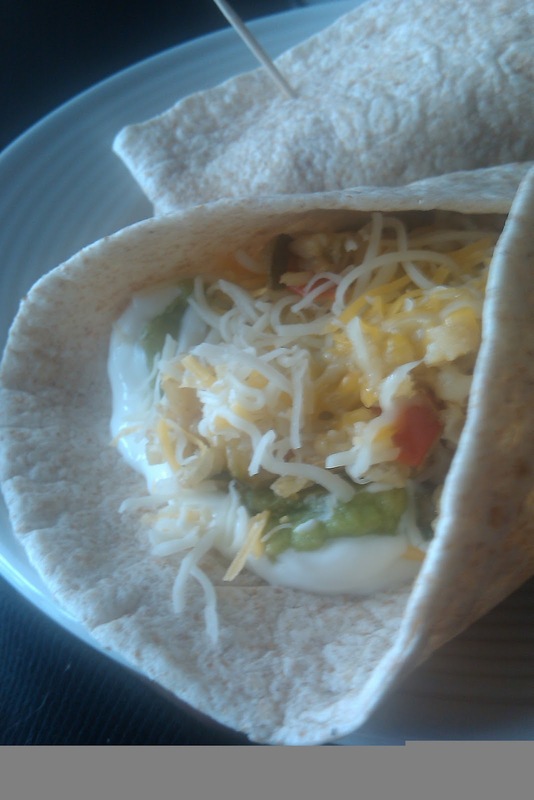 Divide the chicken mixture evenly among tortillas, add toppings, and fold! Secure with a toothpick if necessary. Find more tasty recipes at Beauty and Bedlam!